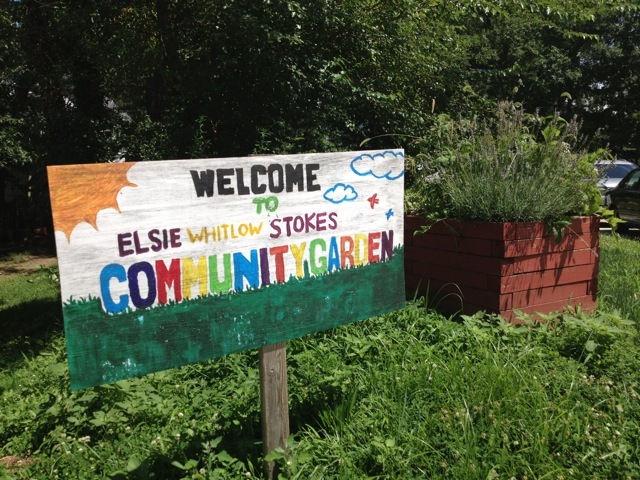 The composting program at Elsie Whitlow Stokes Public Charter School (Stokes School) in northeast Washington, DC demonstrates what is possible when a school holistically embraces composting. `Abdu’l-Karim Ewing-Boyd, International Baccalaureate Primary Years Program and Garden Programs Coordinator for Stokes School, is central to the school’s effort to incorporate composting into its curricula and operations. In fall 2014, Karim participated in the Neighborhood Soil Rebuilders Advanced Composter training course, a 6-week course covering the fundamentals of composting. To fulfill the community service requirements of the course, Karim oversaw the design and building of a new composting system in the Stokes School Garden and implemented a program to compost the school cafeteria’s food scraps. He trained students to help collect and compost the food scraps, and also teaches hands-on compost-focused lessons, helping teachers meet the requirements under the New Generation Science Standards. Stokes School is available to serve as a teaching model for others in the DC School Garden Network, of which it is an active member, and beyond. Among the many benefits of such an integrative program are the opportunities for skill building and applied learning that reinforce the New Generation Science Standards. Composting also helps reduce the school’s waste and waste management costs. The parents’ interest in learning how to compost at home will help spur a culture of composting know-how in the wider community and lay the groundwork for successful municipal-wide programs. System used: One 3-bin system for outdoor thermophilic (hot) composting and 10 small vermicomposting bins for in-classroom use. Students and parents built the 3-bin system as a Martin Luther King Day service project. Materials composted: Stokes School’s cafeteria prepares three meals a day for its 430+ students and staff, as well as meals for three other area schools—roughly 2,500 meals per day. 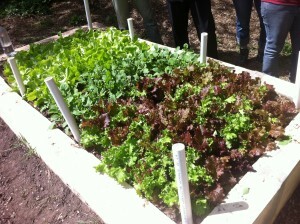 Karim reports that the program is composting nearly 150 gallons of food scraps per week. 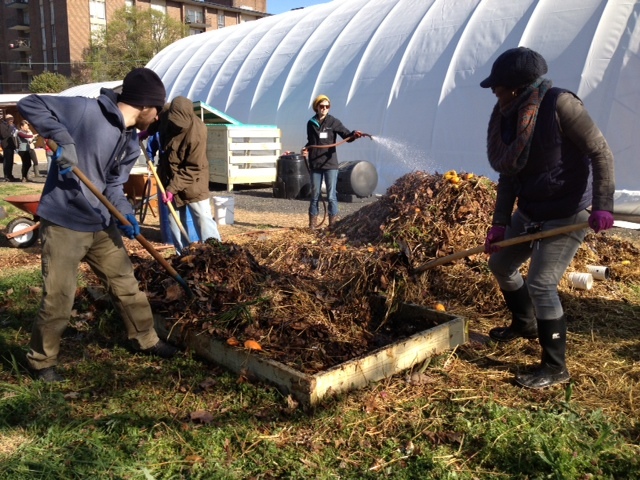 The food scraps are composted with cardboard, leaves, and woodchips. The success of the composting program can be attributed to the outreach and training provided to the school’s community: teachers, students, staff, administration and parents. Targeted communications have allowed for effective coordination among these key players. Teachers: Stokes School teaches to the New Generation Science Standards, as does the DC public school system. Karim provides teachers with hands-on lesson plans that reinforce the science lessons each grade is set to explore. He garnered the teachers’ support and participation by offering to lead these specialized lessons. 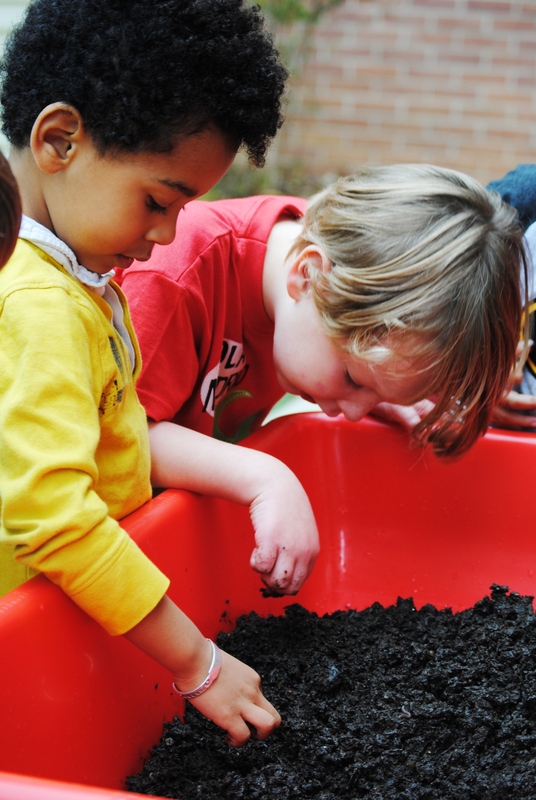 Some lessons utilize the vermicomposting bin found in each classroom, and others incorporate visits to his outdoor classroom, the Stokes Garden, which has raised garden beds and the 3-bin composting system. Examples of lessons include 4th grade students using the vermicomposting bins to learn about the life cycle and habitat of worms, and 5th graders visiting the outdoor compost system to learn about the compost and soil food webs. Stokes School has also trained a cadre of 25 student Compost Captains who help their peers to successfully participate in the separation of compostable materials from waste in the cafeteria. In addition to the responsibility for routine monitoring and maintenance of the composting system, the composting program primes students with opportunities for leadership, while also providing them with concrete skills. 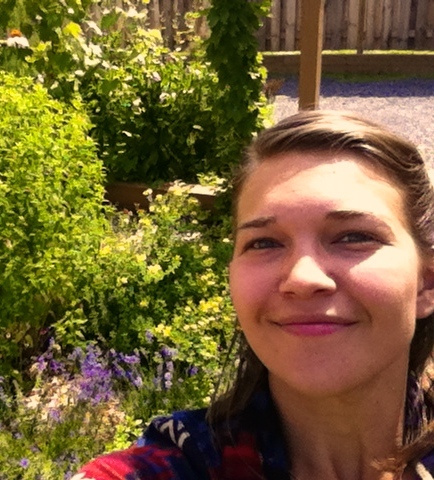 Staff: Karim is responsible for creating and maintaining the Stokes School composting program. The program would not exist without him as a champion. His training as part of the Neighborhood Soil Rebuilders composter training program provided him with the technical skills he needed to operate the composting system successfully. Karim organized, trained, and sought buy-in from the cafeteria and janitorial staff. This was critical to the success of the program. He worked with cafeteria staff to assure that they liked the system for separating food scraps. In addition, Karim has a great relationship with the school’s groundskeeper, making it possible for them to work together to store the woodchips, cardboard and food scraps central to the composting process. Administration: The program would not be possible without the support and participation of the school’s Executive Director and administration. The school’s focus on service learning, and dedication to connecting students to urban agriculture by way of the Stokes Garden, provides the composting program fertile ground to grow in. Parents: Parents are enthusiastic about the composting program. They were key participants in the bin building on Martin Luther King Day and will help build another 3-bin system in fall 2015. Parents have also asked Karim to teach a composting course for them during the coming school year.